Window films can help slow furniture & fabric fading in New York. Photodegradation the exposure to direct sunlight can cause many colored or painted materials to fade. Damage due to fading is caused by Ultraviolet light, visible light, heat (including infrared light), artificial indoor lighting and humidity. Ultraviolet light, visible light and heat account for 90% of fading. All three can cause damage to furniture and merchandise in the home, office, retail stores and business’s. This color fading be prevented using window tinting film for your home or office windows. Learn more about photodegradation. Clear single pane glass (1/8” to ¼”) will reject 23%-28% of the ultraviolet light from the sun. Insulated glass is slightly better, rejecting 36%-41%. Window film installed on glass rejects 99% of solar ultraviolet light. Different types of clear glass and window systems will reject 13%-29% of the solar heat. With window film 98% of solar heat can be rejected. Our window film is specially designed to filter out at least 99% of harmful UV rays and reject infrared heat but still have a pleasant soft clear view, both day and night. By installing window film the effects of color fading can be reduced to prolong the life of your furnishings, carpet and furniture, year after year. UVC light is screened by the ozone layer, but UVB light must be screened by UV inhibitors. Window films block 99.9% of UV light. Window film helps to reduce glare. Window film can reduce up to 89% of the unwanted heat. Other factors that lead to fading include chemical vapors, age of fabrics and materials, dye fastness, and humidity. Will New York window film really stop fabric fading? Solar control window films contain ultraviolet absorbers which reduce the amount of ultraviolet radiation being transmitted through glass – up to 98%. Both visible light and ultraviolet radiation are the main causes of fading to floors, carpets, draperies and other furnishings in the home and place of business. Fading is a complex issue because each and every material has a different tendency to degrade from exposure to ultraviolet radiation and other factors. For example, wood is extremely vulnerable to fading from sunlight. It is generally accepted that UV radiation can be responsible for roughly 40%-60% of all fading. Solar control window film products are not guaranteed to stop or cure a fading problem. However, professional quality window film can significantly reduce fading caused by ultraviolet, visible light and solar energy. The degree of protection you obtain is closely tied to the type of film you select. We highly recommend our New York window tinting products to prevent fading from having a significant effect on your furniture, flooring, walls, and other possessions. 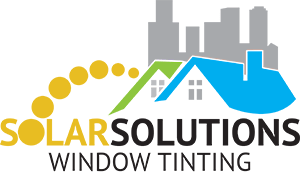 The films you’ll find at Solar Solutions will ultimately help protect the beautiful interior design you have for your building, while still giving you a fantastic view of your outside surroundings.